With legislative deadlock on tough issues being the norm, rather than the exception in recent years, it has become more important than ever to ensure that the business viewpoint receives a thorough airing when controversies end up in the courts. The CalChamber Legal Affairs Department participates in major litigation that affects California employers. 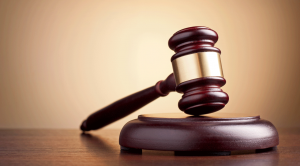 The CalChamber legal affairs unit files friend-of-the-court briefs on behalf of CalChamber members and key industries to emphasize the impact that judicial decisions would have on California’s economy. These briefs attempt to present courts with the broad impact that laws can have on the business climate. Since entering its first case in 1982, the CalChamber’s legal affairs program has grown steadily. The staff reviews and coordinates requests to file amicus curiae, further boosting the CalChamber profile in this area. 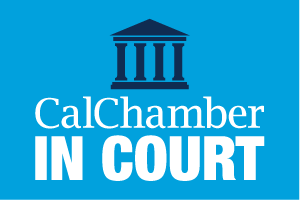 See recent articles about CalChamber in Court activities. California Chamber of Commerce GC Erika C. Frank guides small businesses through tough times.